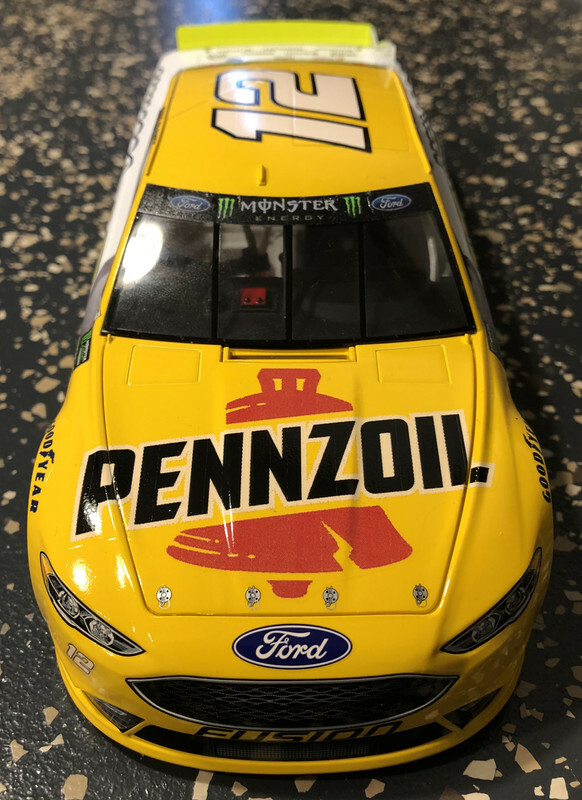 Ryan Blaney pennzoil Ford. Stoney decals. Tamiya chrome yellow and pure white. Spoiler and wheels are hok chartreuse neon. Just wish the side 12s were more neon to match the wheels. Overall looks pretty good! Very nice build. Am i to assume the grey is decal? 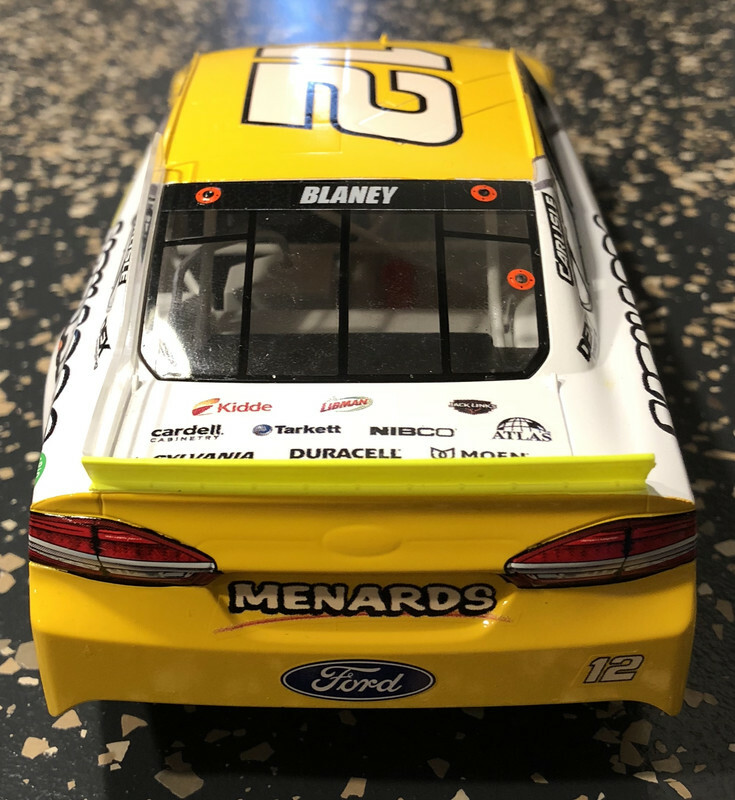 Kinda a whacky paint scheme, you did good with it tho. Yes grey is a decal. Thanks 18degrees! Great looking build , nice decal work .